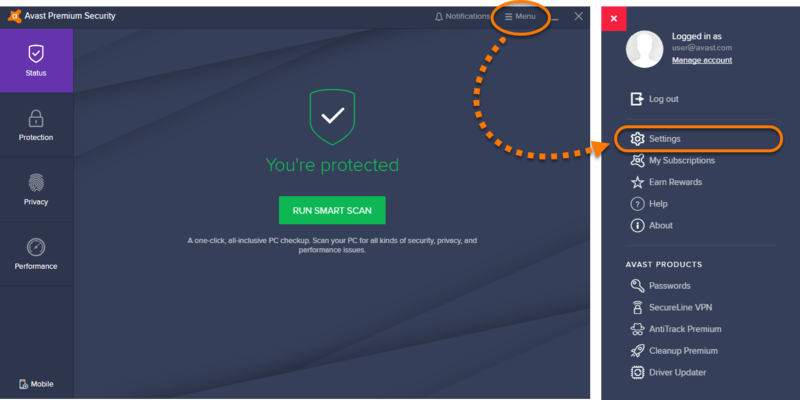 After installing Avast Antivirus some 3rd party email clients, such as Mozilla Thunderbird, SeaMonkey, or The Bat!, may show that the mail server certificate is invalid when you send and receive emails. 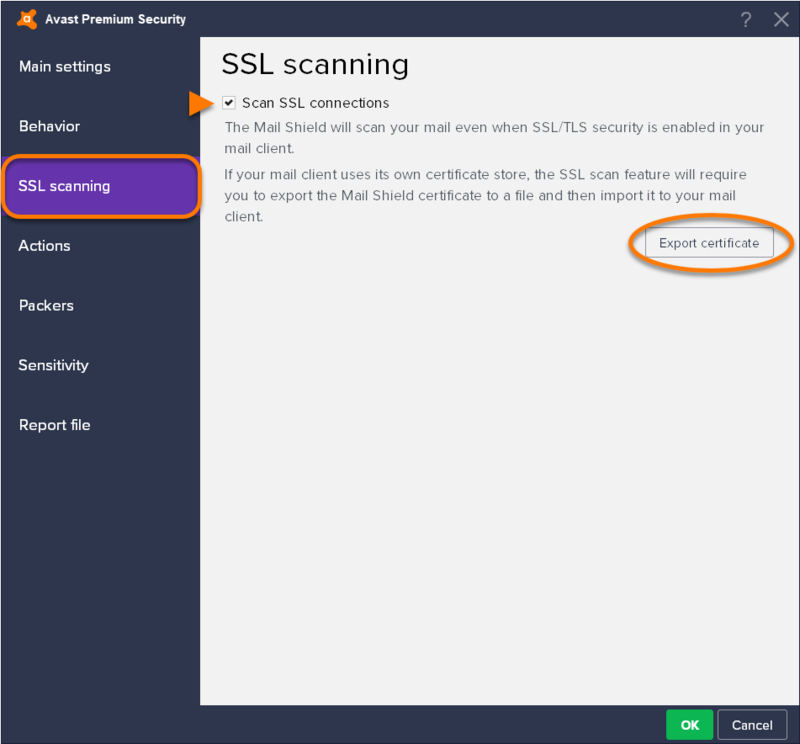 The Mail Shield in Avast Antivirus uses an advanced scanning method for incoming and outgoing emails over SSL/TLS secured connections. 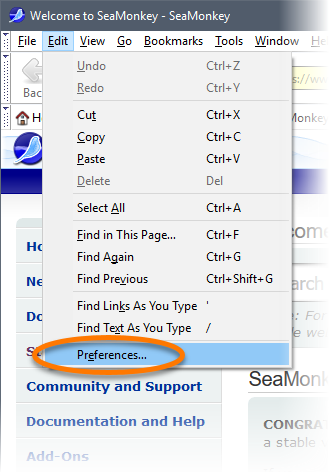 Mozilla Thunderbird, Sea Monkey, and the Bat! 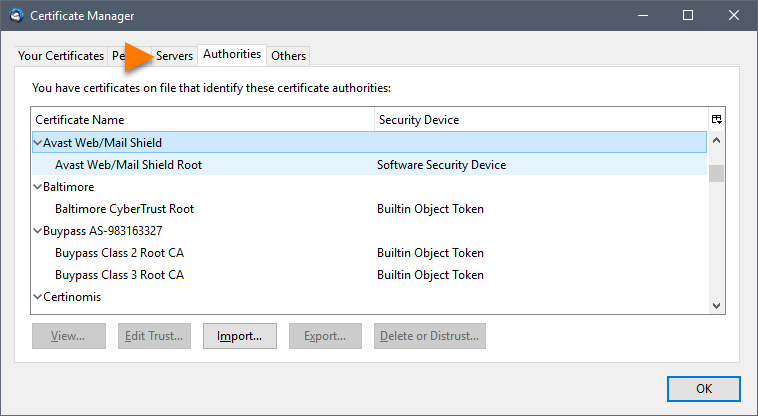 have their own certificate stores and may require extra configuration to avoid warnings about invalid mail server certificates. 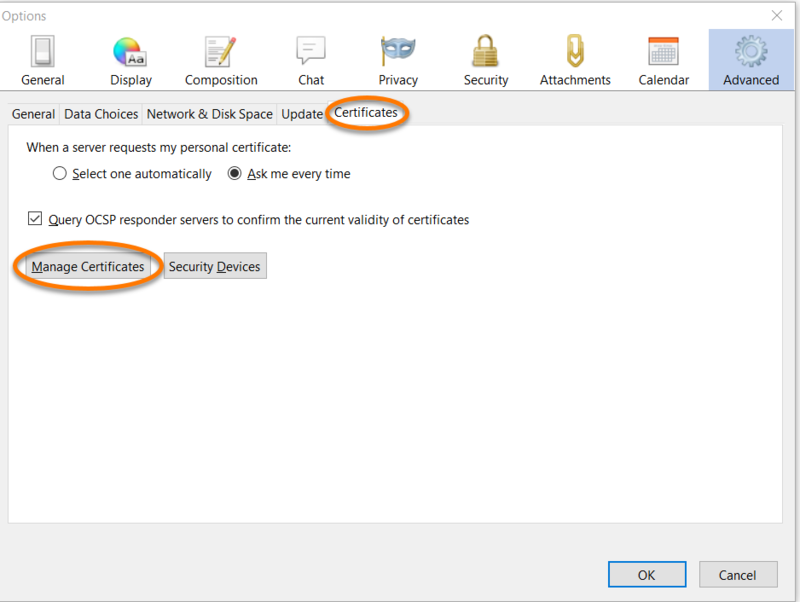 Refer to the sections in this article for instructions on how to stop warnings about invalid mail server certificates, export the Mail Shield certificate and import it into your email client's certificate store. 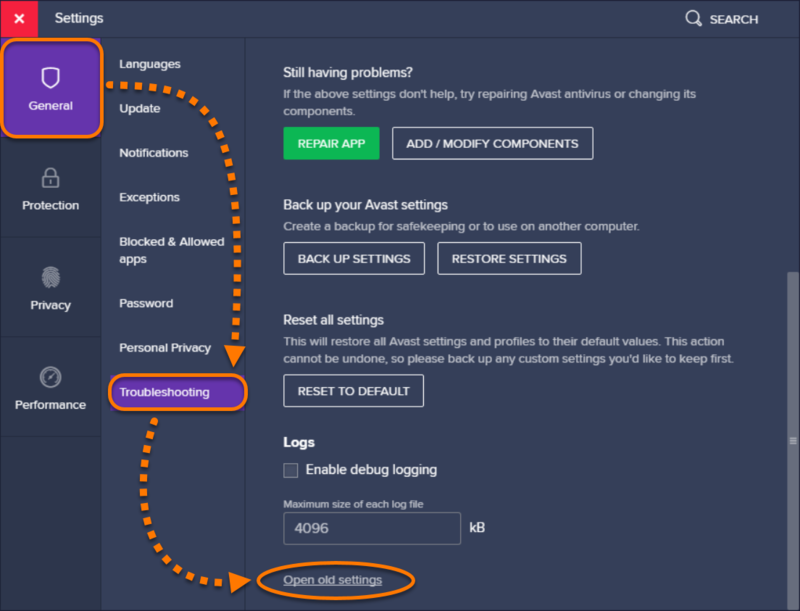 Select General from the left panel, then click Troubleshooting ▸ Open old settings. 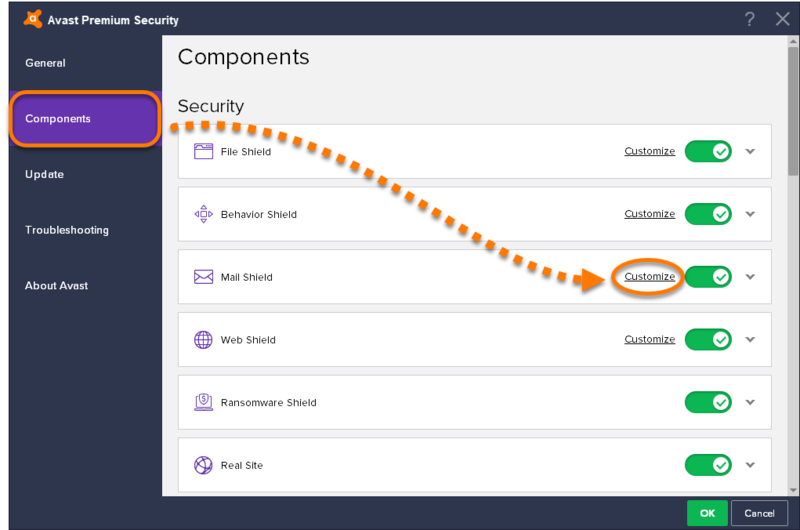 Select Components from the left panel, then click Customize in the Mail Shield panel. 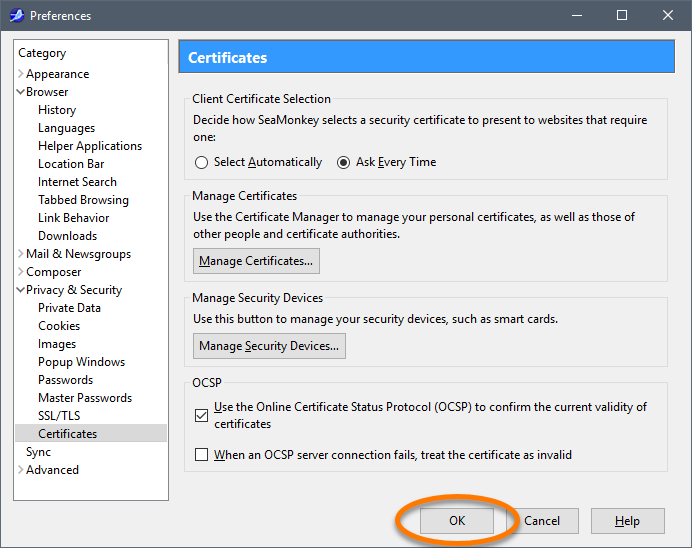 Select SSL scanning from the left panel and ensure the box next to Scan SSL connections is ticked, then click Export certificate. 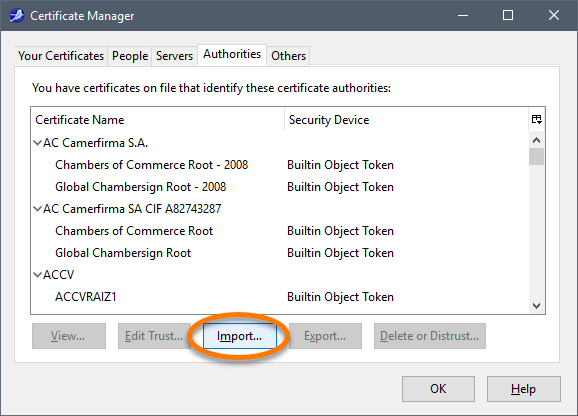 Select a location to save the exported Mail Shield certificate (for example, your Windows Desktop) and click Save. 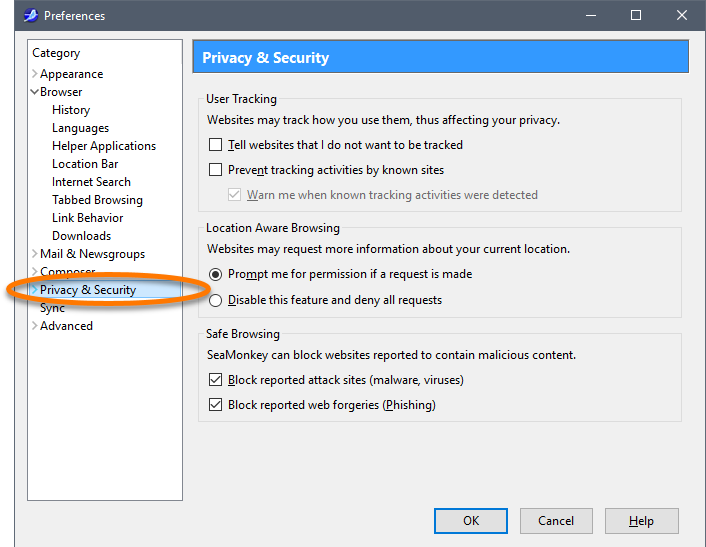 Click OK in the Avast Information dialog. 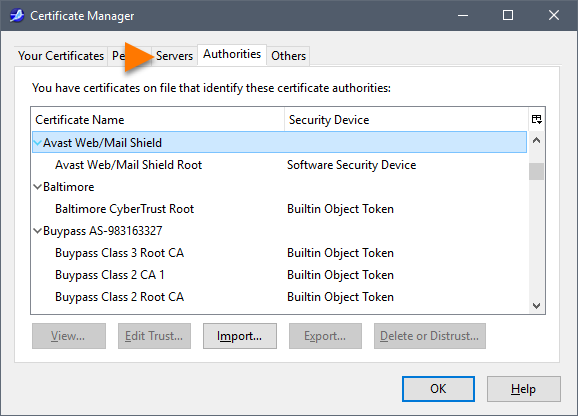 Import the Mail Shield certificate into your mail client. 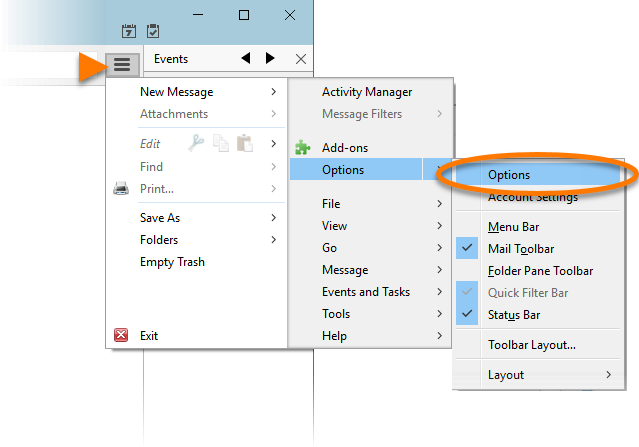 Each email account in your mail client needs to be configured as required by your mail provider. Refer to your mail client's and mail provider's documentation for instructions. 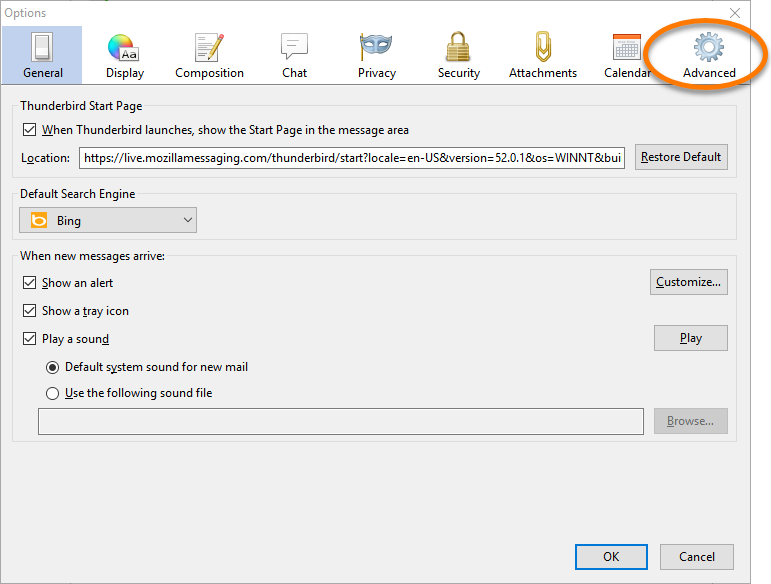 In Mozilla Thunderbird, click the menu icon (three horizontal lines) and select Options twice. 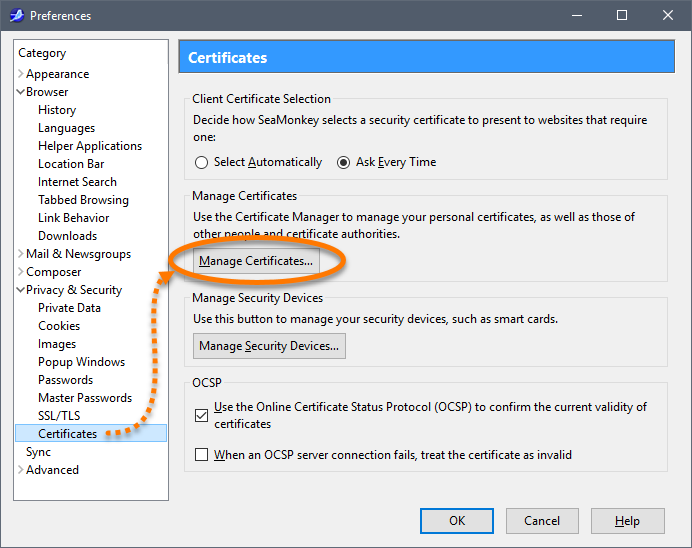 Select the Certificates tab and click Manage Certificates to open the Certificate Manager. 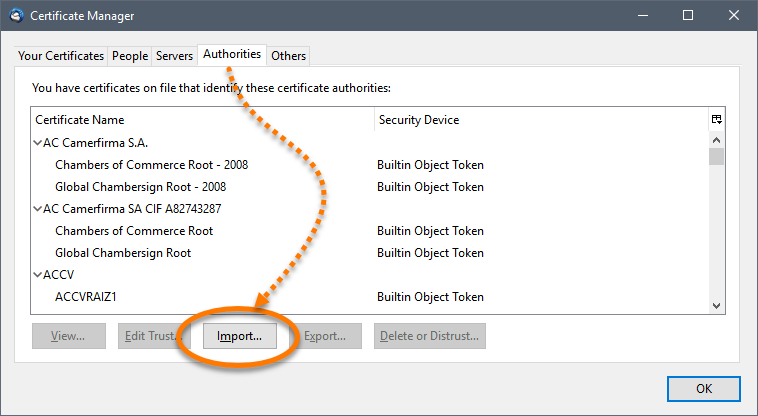 Select the Authorities tab, then click Import. 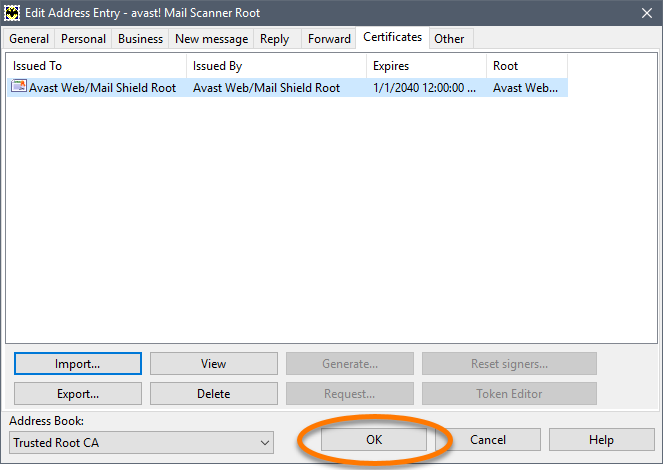 Locate the Mail Shield certificate you exported from Avast Antivirus, then select the file and click Open. 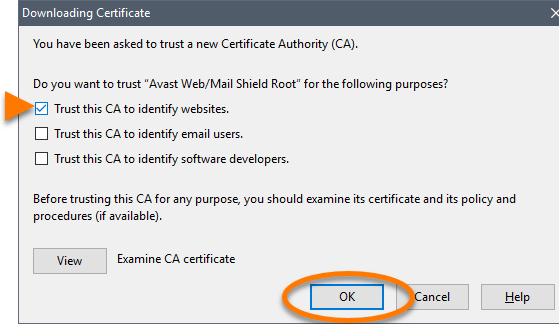 Tick Trust this CA to identify websites and click OK. 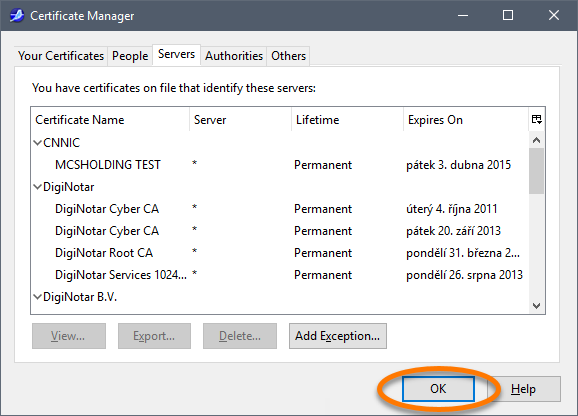 Select the Servers tab when the Certificate Manager screen appears. 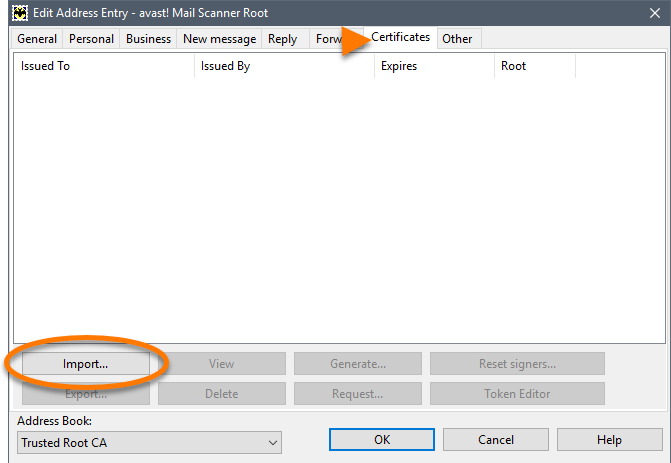 Ensure that there is no entry entitled Avast Mail Scanner. 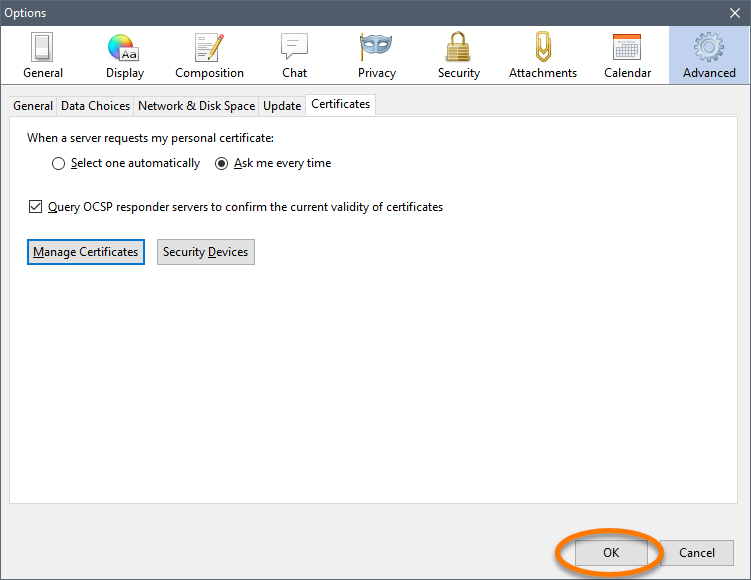 If this entry exists, delete all certificates connected to Avast Mail Scanner on the Servers tab, then click OK to close the Certificate Manager. Click OK in the Options dialog to apply the changes. Click the arrow next to Privacy & Security to expand this section. 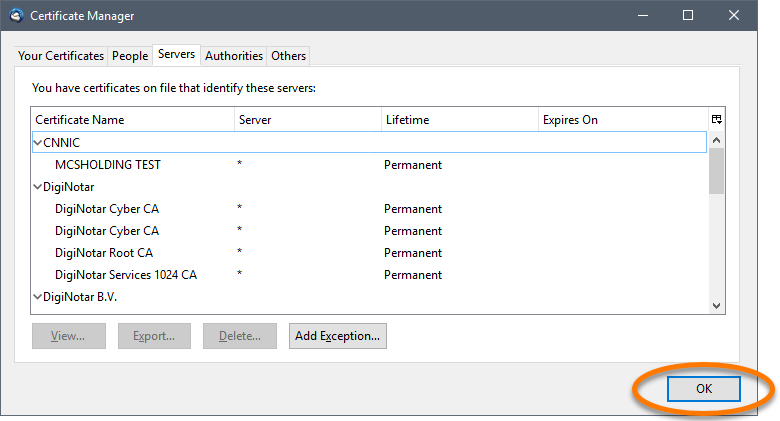 Select the Servers tab when the Certificate Manager appears again. Click OK in the Preferences window to the apply changes. 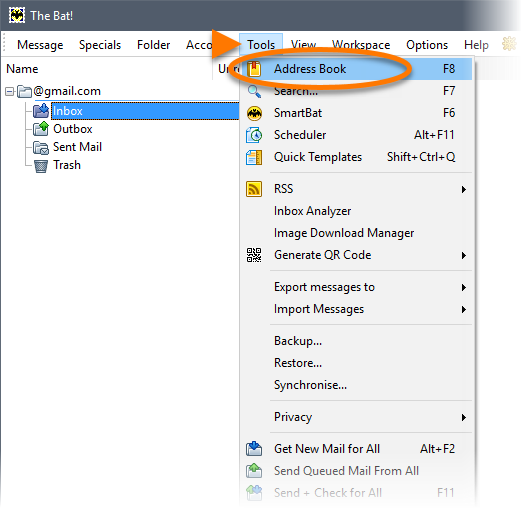 In The Bat!, click the Tools menu on the top of the screen, and select Address Book. 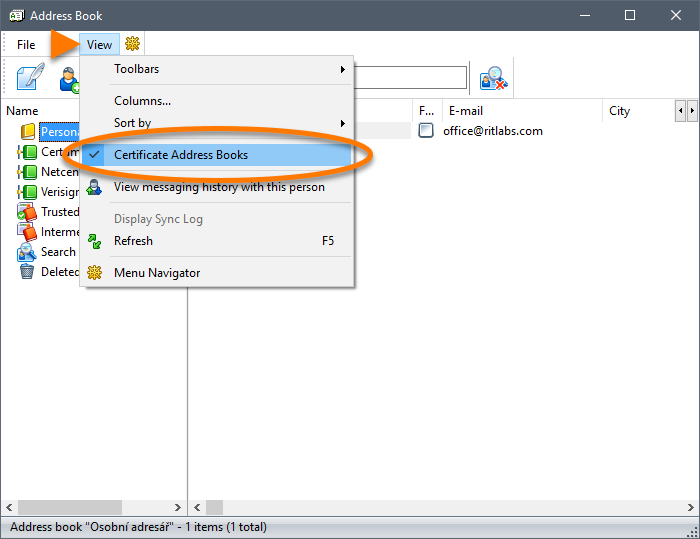 Click View and select Certificate Address Books. 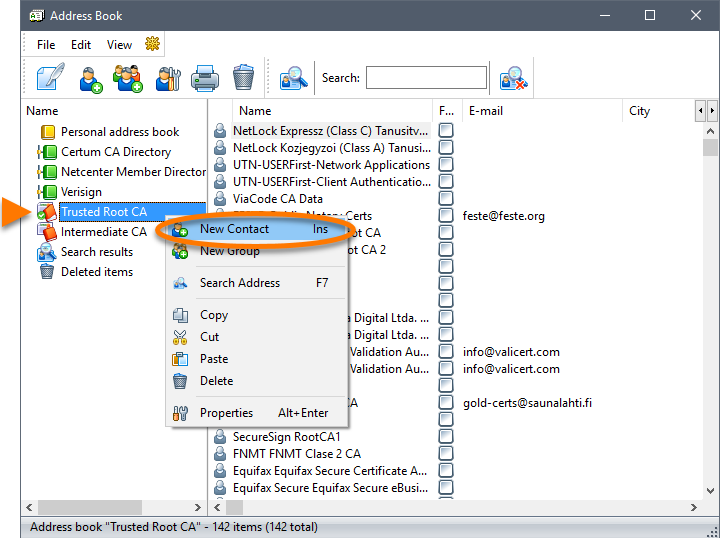 Right-click Trusted Root CA and select New Contact from the context menu. 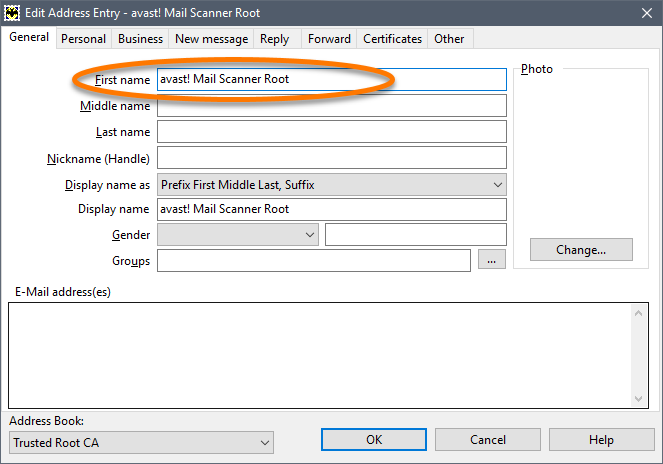 Type Avast Mail Scanner Root in the First name field. 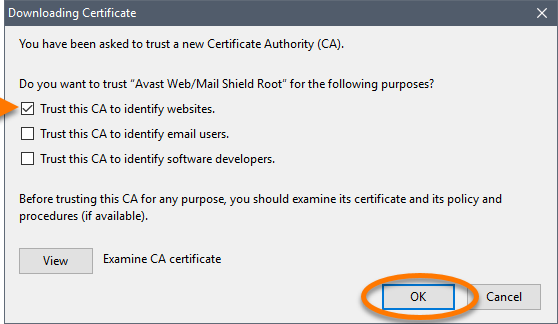 Once the Mail Shield certificate is imported, click OK to apply the changes and exit the Address Book.